Kathleen Scott Robertson was born in Norwood, MA on May 9, 1921 to Helen and Charles Robertson, both immigrants from Scotland. Helen and Charles had 7 children, 4 boys and 3 girls, with Kathleen being the 5th born. Each child was expected to help support the family so after graduating from high school, Kathleen worked as a nanny and then at a parachute factory with much of her pay going to help pay the family bills. Shortly after the bombing of Pearl Harbor and responding to the call to serve, she enlisted in the U.S. Navy and was designated as one of the first 7 WAVES to enter Naval Service. Her specialty training was conducted at Lakehurst, NJ and was designated a parachute rigger in 1942 with her next duty station being Corpus Christi, TX. While at Corpus, she became affectionately known as “Scotty” due to her Scottish heritage and middle name. At that time, female riggers were not allowed to jump like their male counterparts. Through sheer determination and perseverance her request was approved and in Aug 1944, Scotty conducted a 2000’ free fall parachute jump from a R4D becoming the first WAVE and Rigger in the USN to do so. In October 1944, she married CPO Leo Culp and was Honorably Discharged in December. The couple received orders in 1946 to Banana River NAS, but when the Naval Air Station was deactivated, Leo requested an interservice transfer and then orders to newly designated Patrick AFB. Through the 1950’s they lived in Eau Gallie and Scotty worked full time as a freelance journalist and photographer for the Orlando Sentinel. She was an active member of the American Legion, Eastern Star, and Eau Gallie Little League. Her reputation as a community leader and faithful volunteer caught the attention of Percy Hedgecock, founder of the City of Satellite Beach, and he asked the Culps to move to his up and coming beachside community. Prior to their move beachside, Scotty gave birth to twin boys in November 1958. Scotty quickly became Percy’s “right hand man” and marked the beginning of an enduring, everlasting friendship. Over the next 53 years, Scotty established a legacy as a dedicated volunteer always happy to serve the city she so loved. Tireless and hardworking in all that she did, she was driven by doing the right thing and making her community a better place for all. Whether as the 1st Crossing Guard for Surfside Elementary, annual coordinator for the City Founders Day Parade, or Olympic Torch Bearer, Scotty was ever so humble and always honored to serve. Her dedication and innovative foresight resulted in numerous endeavors that have had a lasting effect on the community and continue today. Scotty also started a City/High School recycling program to pay for various community/school projects, was mentor for the SHS Juvenile Offender Program, and established the 21 Day Flag Salute where 50 U.S. Flags would be flown from June 14 (Flag Day) until July 4th (Independence Day) to honor America. Scotty is the shining example of the difference one person can make. Never one to mince words, she lived by the Golden Rule and believed that a person’s character is measured by their actions. An undaunted volunteer, role model, attentive mother, gracious grandmother and kind lady, Scotty was loved and admired by so many as she touched the lives of young and old alike. 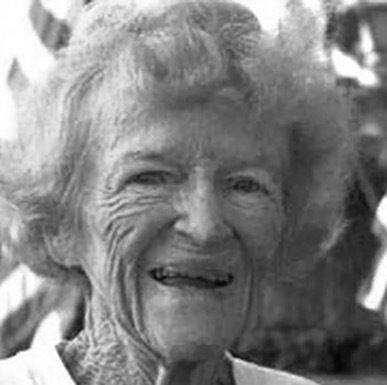 Kathleen “Scotty” Culp, “The First Lady of Satellite Beach” passed away at her home on March 8, 2013 at the age of 91.